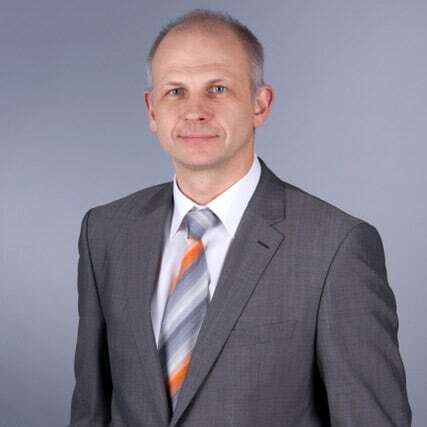 Dr. Rolandas Janušas, MD, is a graduate of Heidelberg University Medical School (Ruprecht-Karls-Universität Heidelberg) in Germany. He is a trained orthopedic and spine surgeon and has been working as a physician and performing orthopedic procedures since the year 2000. Over the course of his practice, Dr. Rolandas has performed over 25 000 various orthopedic infiltrations using ultra-sound imaging and ultrasound-guided injections. Dr. Rolandas has a background in advanced fluoroscopy-guided spine injections. Presently, Dr. Janušas is one out of two existing Regenexx physicians competent to perform Alar and Transversal ligament infiltrations to treat Craniocervical junction (CCJ) instability. He is a regenerative medicine enthusiast. Since 2014 Dr. Rolandas has performed over 300 regenerative medical procedures using multiple established protocols. In December 2016 Dr. Rolandas Janušas received further training and joined the Regenexx Network, thus becoming the first Regenexx physician in Europe. Since February 2017 he is in charge of the Belgian OREME clinic, consulting and treating orthopedic patients in Brussels from all around the world.